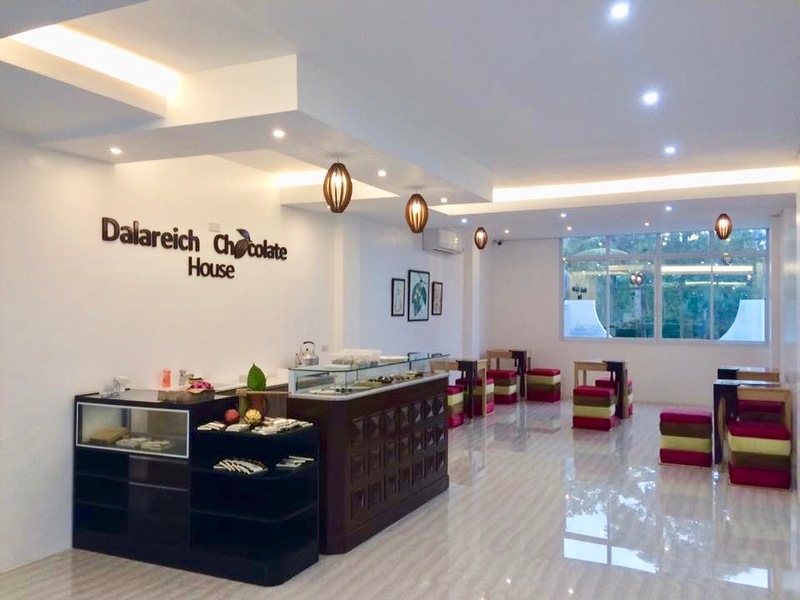 Dalareich had its humble beginnings in 1994; a small family business owned and managed by the couple Mr. & Mrs. Ricardo Polot with the help of their daughter Dalareich Polot in one of the islands of the Philippines called Bohol. 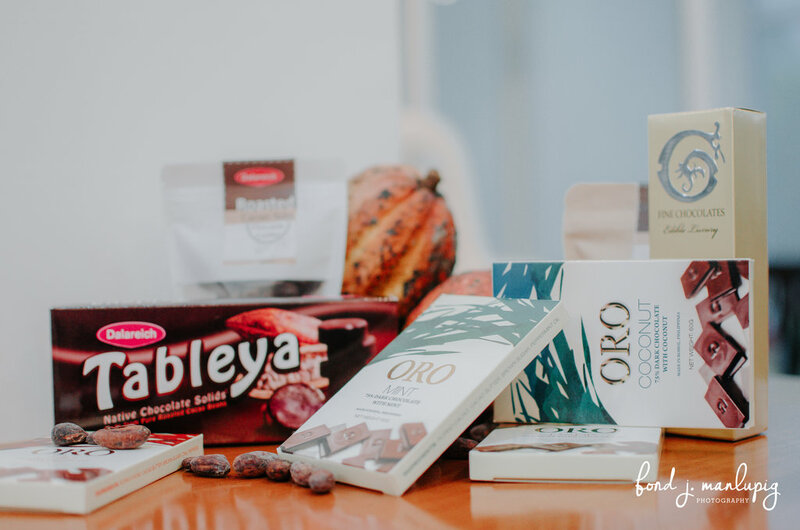 Through the years, the company has been manufacturing unsweetened chocolates or commonly known as TABLEYA in the Philippines used for hot chocolate drinks and chocolate rice porridge. The company has been distributing “tableya” to local supermarkets and malls and in the Philippines. 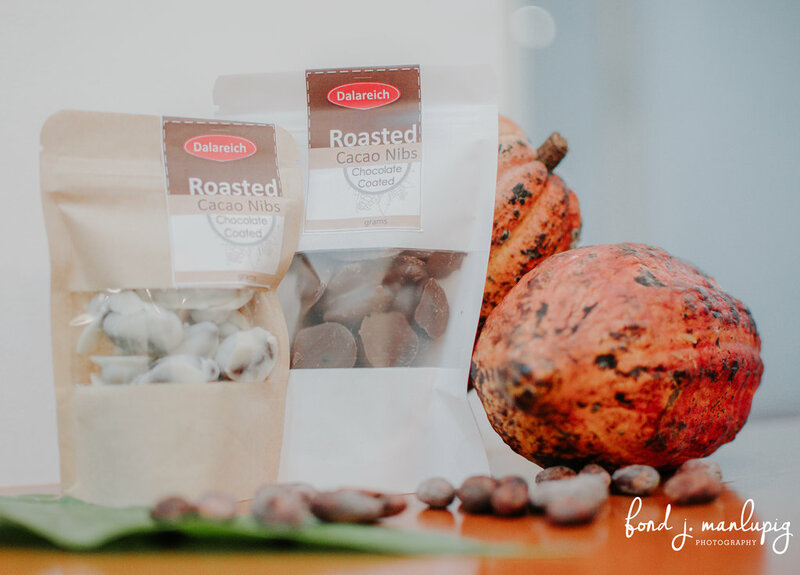 Dalareich Tableya started operating with only 5 kilos of cacao, and generated a meager income which barely served a family of 7. Mr. Ricardo Polot, who used to be a tricycle driver and Mrs. Elsa Polot, a street cleaner, quit their day jobs to focus and work fulltime in the business after one of their daughters “Dalareich” graduated from college in 2009. 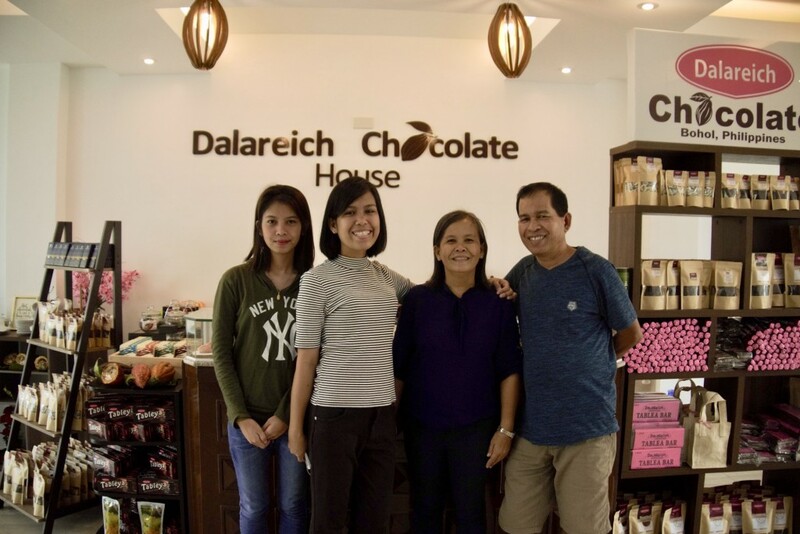 Dalareich’s dream is to make bean-to-bar chocolate using their homegrown cacao beans in Bohol, Philippines. In 2014, Dalareich dream came true. Dalareich was selected to study bean to bar making at Cacaolab of Ghent University in Belgium where she learned from the top chocolatiers in the world. Upon returning to the Philippines she decided to launch Ginto Chocolates in her province, a social enterprise making bean-to-bar chocolates from locally grown cacao planted by smallholder farmers from different small towns of her own province Bohol; known also of its famous “Chocolate Hills”. 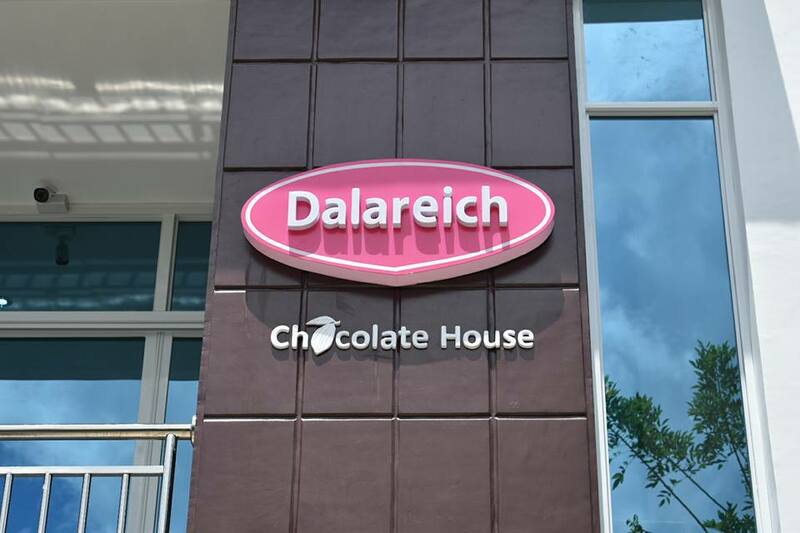 Start your chocolate journey at Dalareich Chocolate House! 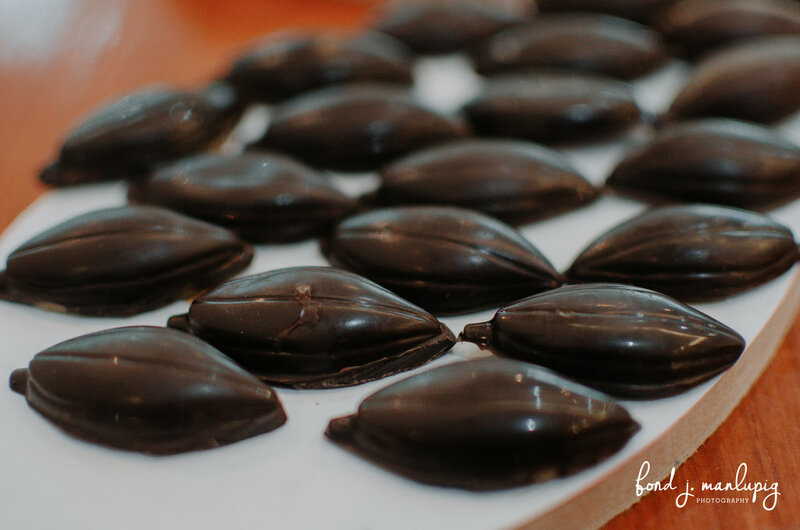 Guests will know the basic of chocolate making, history of cacao in Bohol and the whole Philippines, inspiring story of Dalareich, and an introductory lecture on the bean to –liquor (Tablea) to single origin chocolate! Visitors will listen to the lecture first and watch over each step of our production process in our working chocolate factory. 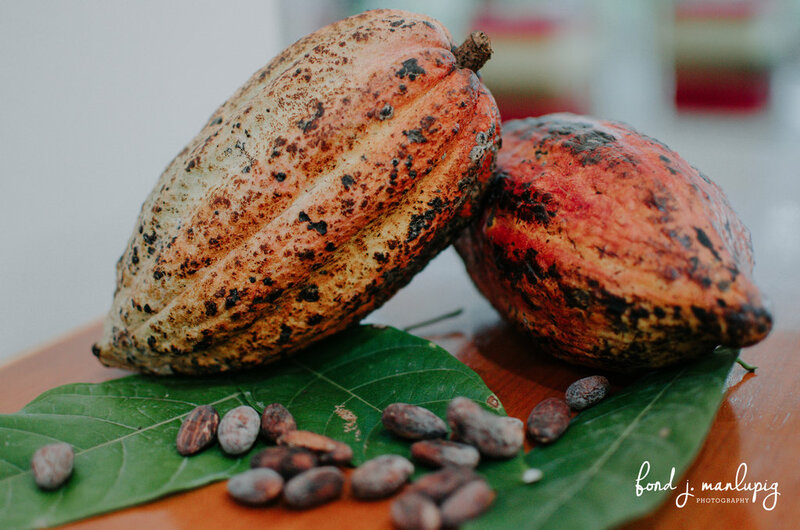 We’ll examine the how and why behind the journey from cacao farm to chocolate. Taste our signature hot chocolate, and single origin bar. Tour guests are limited to a minimum of 5 and maximum of 15 guests and only 3 batches a day. Experience your chocolate journey from the farm to the chocolate house! Guests will be visiting one of our partner’s cacao farm, know the basic of cacao planting to harvesting, the history of the cacao in Bohol and Philippines. You will experience the life of cacao farmer. Visitors will be able to eat the real cacao fruit on the farm. After, you will travel to the chocolate house and listen to a short lecture of chocolate making and walked through each step of our production process in our working chocolate factory, taste our signature hot chocolate, and finally single origin bars. We limit our tour guests to a minimum of 5 and maximum of 15 guests and only 1 batch a day. Precaution statement The road leading to the chocolate house is rough and muddy if it’s raining. Please ring doorbell at the gate for notice of arrival.